Oh summer, how we love thee. Particularly so if it’s spent in Italy! Italian summers are filled with sun, sand, sea, and of course, gelato! Not to be outdone by any of these wonderful aspects of summer are the refreshing cocktails and spirits found all over Italy. And yes, you can find any of these during any time of year; yet they seem to go down that much smoother in the heat. And Italy is no stranger to delicious drinks! So, if you’re lucky enough to find yourself in Italy this summer, be sure to order one of the below, or perhaps, make it your goal to taste them all while there. You will not be disappointed, though you might be a bit tipsy. Aperitivo: Aperitivi, or openers, are drinks typically enjoyed before dinner as they are considered to “open” your stomach or appetite and prepare you for the meal you’re about to enjoy. Negroni: (Above) Believed to have been first mixed in Florence some 100 years ago, this is such a classic Italian drink that it should top your list of must-try. This bitter is an equal blend of Campari, gin and sweet Vermouth. A bit bitter for some and an acquired taste, it usually falls under a “love it” or “hate it” category but don’t let that discourage you, it should be tried by all, even if not repeated. Aperol: As the name implies, this is a favored pre-dinner opener in Italy. Lighter in color, bitterness and alcohol content than Campari, Aperol has a citrus flavor with bitter undertones and is best enjoyed as an aperitif with added club soda. Spritz: If the bitterness of the Negroni is too much, try the spritz, which is similar but lighter and made with Campari, Prosecco and club soda. This will give you a sense of the full, classic Negroni but the sweetness will make it easier to tolerate for some. Bellini: (Above) This classic drink is a simple combination of white peach puree and sparkling wine. Made famous in Venice by a bartender working at Harry’s Bar, it’s still the favored drink of the Venetians as well as all the tourists making their way there over the summer months. It sounds plain and perhaps not too exciting, but it’s pure deliciousness in a glass. Sweet, fizzy and very summery, it’s surprisingly refreshing and the best alternative to the bitters above. Prosecco: Made from prosecco grapes, prosecco is Italy’s version of the more expensive champagne. Made mostly in Northern Italy, in the Veneto region near Venice, it can be fizzy or flat and enjoyed straight or added to fruity drinks, like the above-mentioned Bellini. Digestivo: Digestives are used to aide in the digestion process, particularly after a large Italian meal. Drink the below if you’ve overdone it or if you simply want to end the meal like the locals do! Fernet Branca: If you’ve really overdone it on the food, so much so that Limoncello will not cut it, head over for a shot of Fernet Branca. One of the most recognized drink it the category of bitters, Fernet Branca is a powerful drink, menthol in flavor and not for the weak of heart, or stomach. Heartburn is sure to follow! Espresso Corretto: Typically enjoyed after dinner, (or delicious at any time of day, really!) a “corrected espresso” is a shot of espresso with some grappa, Sambuca or anisette liquor added. Delicious with dessert and optimal for dunking a few crunchy anisette biscotti, this also makes a great base for dunking your ladyfingers when making Tiramisu at home. Amaretto: Sweet, while still a little bit bitter, (the name amaretto means just that – a little bit bitter, from the Italian word amaro), this drink is almondy in flavor and delicious with a few cookies on the side, particularly Amaretti cookies. This post-dinner drink is delicious served simply over ice and also favored by many home bakers and used in baking extensively. Amaretto di Saronno is by far the most widely used brand in Italy and all easily recognize its distinctive square bottle. Frangelico: But, if like me, almond flavor isn’t your nut liquor of choice, order a Frangelico instead. Hazelnuts are used in this sweet drink, which is delicious served straight up, over ice, or better yet, over a bowl of hazelnut gelato. The shape of the bottle is also distinctive and created to look like a Franciscan Friar. The above is just a partial list of cocktails and drinks to try while visiting Italy, so be sure to order a few during your stay. 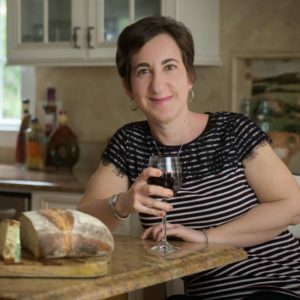 Francesca Montillo is a native Italian currently living in Boston and the founder of Lazy Italian Culinary Adventures, which provides small group culinary adventures to Italy, as well as private trip planning and organizing. She is also a culinary instructor in the Boston area. She maintains strong ties to her native land and is very excited to be able to bring folks to Italy on her adventures.